Come and participate in one of our Music Together classes with your child and experience all the fun your family can have actively making music! Reservations are required. Please schedule your trial class below. You and your children will sing, dance, play and learn during a variety of music and movement activites led by trained and talented instructors. 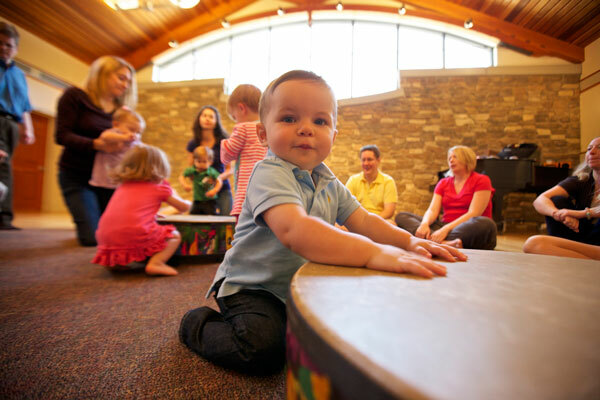 Learning music has many developmental benefits for young children. Read more! 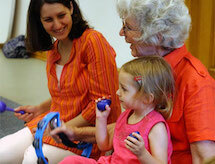 Fun mommy and me music activities are appropriate for your baby, toddler, or preschooler. Siblings can attend the same class so you and your kids can sing, dance and play instruments together. Here are a few things to know before you come. Call or text us at 718-499-2866 or email us if you have any questions! Before each semester begins, we offer Free Pre-Season Trial Classes. There is no cost to attend these pre-season trial classes. Just come and have fun with your children and see what makes Music Together unique among parent-child classes. You may come to a trial class at any of our six locations, no matter where you wish to enroll for the full semester. Dress comfortably to move. We'll be taking off our shoes, so please wear or bring socks. Please do not bring toys or food into the circle. After class, you can register for the full session. If you choose not to register, there is no cost for the trial class. If you do register for the full session, the trial class won't count towards your class total.